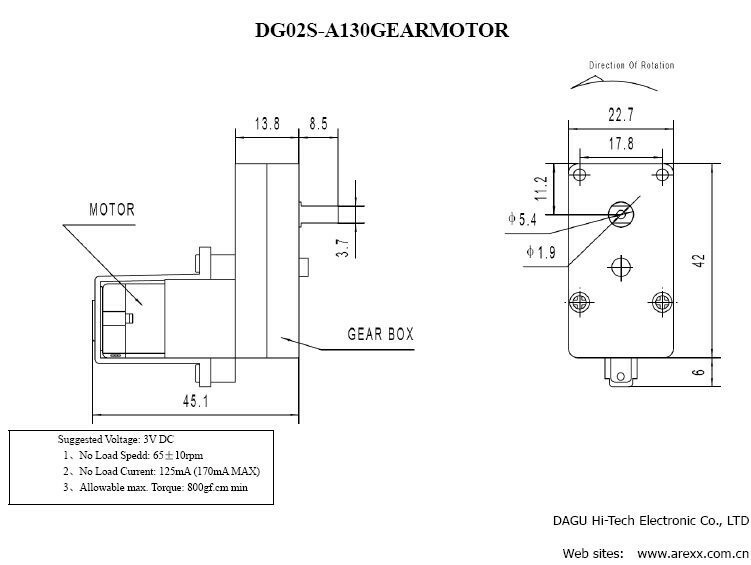 These are a pair of right angle, hobby gearmotors from DAGU. These gearmotors are the same ones utilized in the Magician Chassis and RedBot Kit and offer a cheap and easy to use setup to get your wheels turning. Due to these gear motors being at a right angle, you will also be able to track and control the rotation of your wheels! Each gearmotor requires a voltage of 3-6V with a no load current of 200mA while possessing a stall current of 3A@6V (1.5A@3V), a gearbox ratio of 48:1, and a wheel speed of 65 rpm at 3V unloaded. 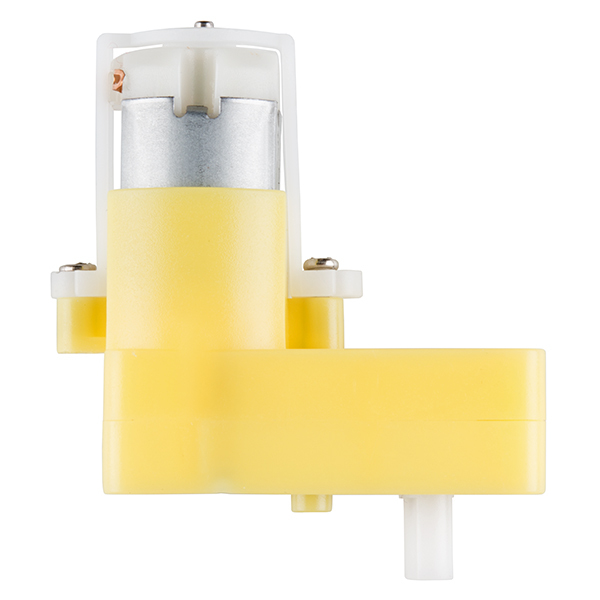 These gearmotors are sold in packs of two. 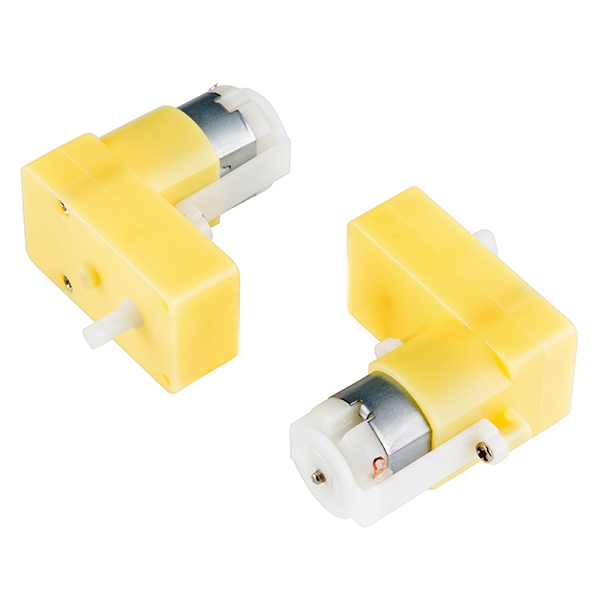 is there an easy way to mount these to an Actobotics channel? Thanks! These don't appear to be the same motors as stated in the description for the Magician chassis. 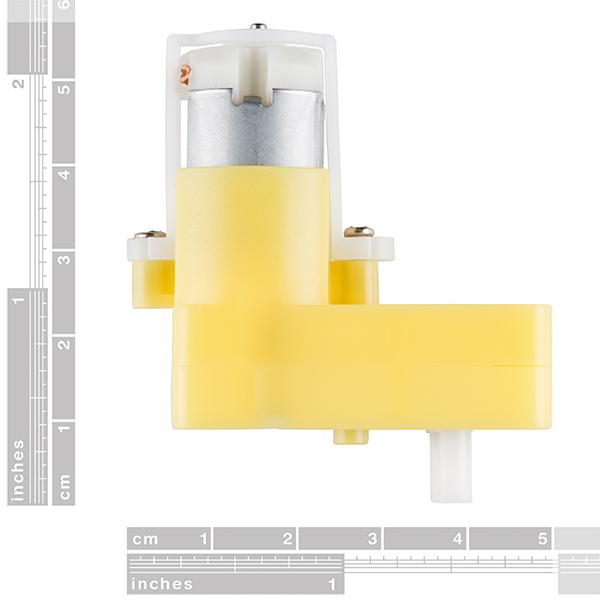 The data sheets don't match and I don't see a shaft for an encoder. What about the physical orientation of these motors makes them more apt to track? Is there a prescribed encoder set-up? Edit: The complete kits sold here (and mentioned in the product video) include encoders with magnets and hall effect sensors that mount to the gearbox bodies, but they seem specially designed for each other, so I would skip these and go with the kit if I was looking to use encoders. Trying to gear down an RC motor is huge pain. These take care of the problem with a 48:1 gear ratio.